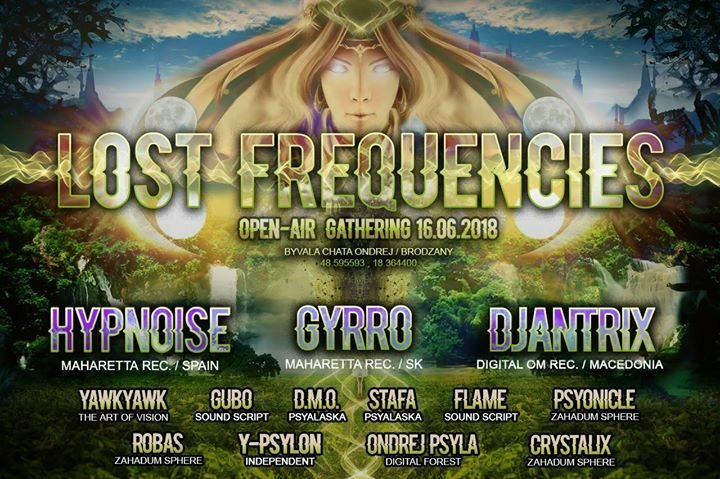 Some says,in forest close to place where princess Andromeda breaths last time,still can hear some weird,peculiar sounds..so without any conspiration we've decided to invite all of u freaks,make your own opinion about it ;) Come and make yourself sure of this :Andromeda can die...but there are still her echoes...that echoes are called LOST FREQUENCIES! come & enjoy this musically fully loaded night ! Looking forward / Tesime sa na vas! HYPNOISE / Maharetta Rec. / Spain 1st @ SK LIVE! DJANTRIX / Digital Om Rec. / Macedonia LIVE! GYRRO / Maharetta Rec. / Spectral Sound LIVE! SALUBERRIMAE / NeoGoa Records LIVE! Signed to Antu Records and Maharetta Records in 2010,Hypnoise started as a duo and nowadays is run solo by Juan Fontoira. In the meantime will release a few tracks in different labels as Nano Records, Free Spirit, 24/7 recs, Antu Records,.... and worked in different collaborations with top notch artist. Martin Georgiev a.k.a. DJANTRIX (artist name) born in 1988 in Skopje, Macedonia. His first serious contact with music begins when he was 10 years old . As a individual artist, he specialized in creating unique psychedelic music with different sounds and style. What we use to hear from him now is powerful, twisted and highly psychedelic music, as well as intelligent morning psychedelic tunes. Djantrix has evolved with a serious and sophisticated focus on intelligent psychedelic music. Noko sa od 14 rokov venoval elektronickej hudbe, prevažne minimal technu. Prvý kontakt s psytrance bol v roku 1998 (prvé magnetofónové pásky Hallucinogen, Atmos), čo sú dodnes jeho obľúbení producenti. Neskôr ako člen Carpathian crew a Art of vision z Trnavy. Štýl, ktorý hráva sa nedá jednoznačne zaškatulkovať, prevažuje však tzv. Psygressive (Zenonesque/Glitches). V jeho setoch však možno počut aj prvky proggi, jazzu, techna, etna a oldschool goa. aka Jan is a DJ and promoter based in Belgrade/Prague/Brno/Piešťany (depends on weather;) Also an editor of [psytrance.sk] portal propagating psychedelic culture in Slovakia, and a cat lover too!